Excellent finance deals available. Drive away same day - with no extra admin fees! Comes with 3 months warranty with WMS Group (with options to extend to 12, 24, 36 Months). Part exchange welcomed. FULL Service History! (7 STAMPS) NEW FULL SERVICE CARRIED OUT 11/04/19 at 85090 Miles! MOT Till 02/11/19. Spare Key Included! 4 Former Owners. 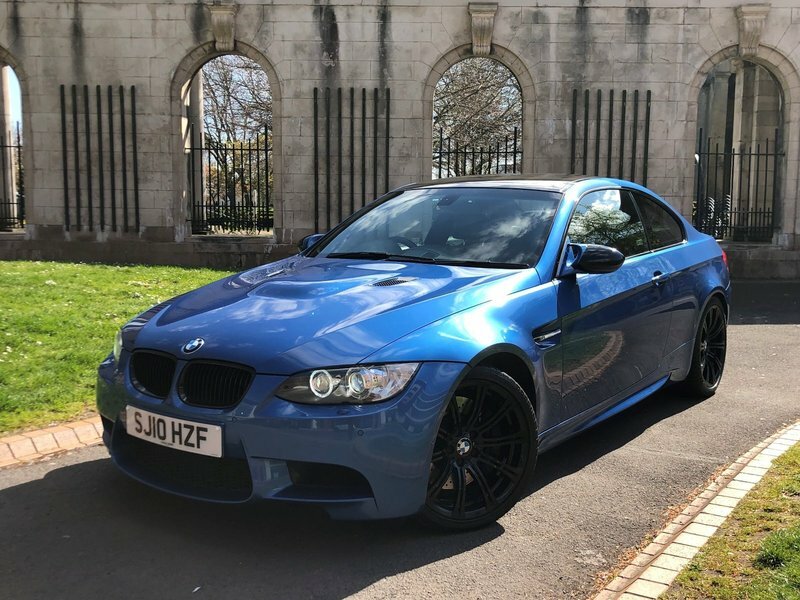 This ULTRA RARE V8 4.0 LITRE BMW M3 MONTE CARLO EDITION comes with; Navigation, Electric/Heated/Memory Seats Upholstered in FULL Black/Blue Leather WHICH ONLY COME WITH THIS EDITION, F/R Parking Aid (Visual & Acoustic), Auto Xenon Headlights, Electric Folding Mirrors, Cruise Control, Dual Zone Climate Control, Bluetooth (Telephone Connectivity), Drive Select, 19" M SPORT Alloy Wheels.